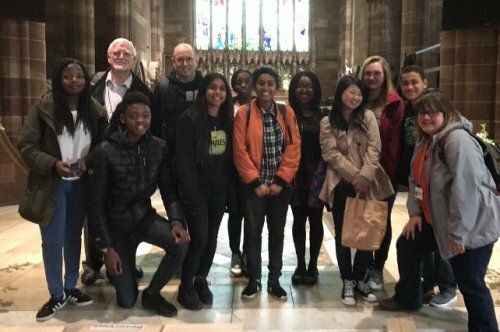 In cooperation with the local churches of the city, the Taizé Community led a young adult gathering in Birmingham, 28 April - 1 May, 2017. The programme is still available for download. 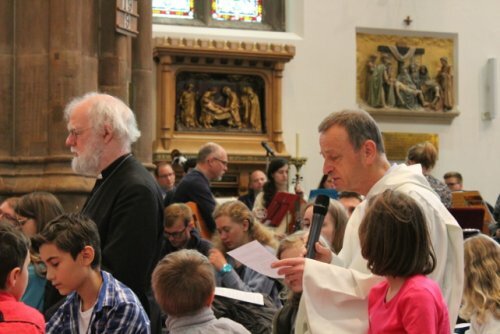 A regular common prayer for all participants was at the heart of the weekend. 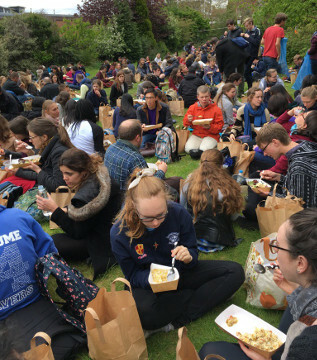 Darlene one of the one of the group of young adults who came from the UK Bruderhof Communities writes here of her first experience of this kind of community prayer. Brother Alois, prior of the community, spoke at some of the prayers. Dr Rosalee Velloso-Ewell of the World Evangelical Alliance gave a meditation at Saturday midday. On Sunday evening, Dr. Rowan Williams spoke on Christian faith and friendship with those of other religions (transcript). The Catholic Independent News gave a report on the weekend, and Leanne contributed a thoughtful reflection on her blog. 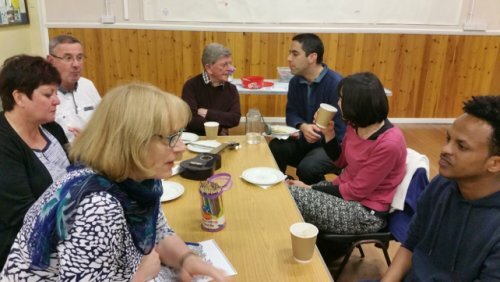 In 9 host neighbourhoods of the city, people of different churches worked in teams to prepare accommodation and the local programme for participants. On the final morning, when brother Alois thanked the people of the host neighbourhoods for their welcome, the applause was long and heartfelt. Steph, one of those involved in preparing this part of the meeting from the beginning writes in her blog here. The afternoons were given over to workshops, forums and visits on a wide variety of subjects (see the list with photos). Constantina writes with enthusiasm of those she met as she led the workshop on icons. 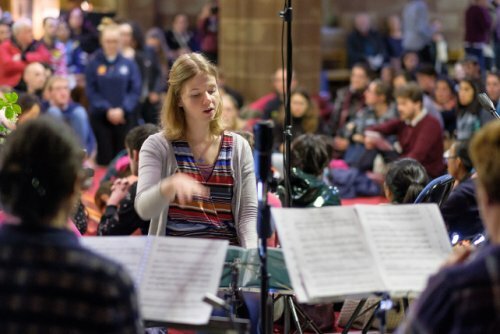 On Saturday there was also a separate programme for 16-18 year-olds. In it, young people from as far away as South London, Glasgow and Kuusamo (northern Finland) participated. Luke, from a local school, wrote of his experience of the day. A report on the day was also published in Polish by the St Albans group! The final prayer of the weekend was held in the Catholic cathedral, St Chad’s. Former archbishop Rowan Williams stayed with us for this, and brother Alois spoke at the end of this Prayer of Sending out: ... By his resurrection, Christ has built a bridge between death and life, between despair and hope – a bridge which leads beyond death, beyond violence. As we follow Christ, we too can build bridges, even in places where it looks impossible. Wherever there are divisions, separations and fractures, we can be creators of peace and community. 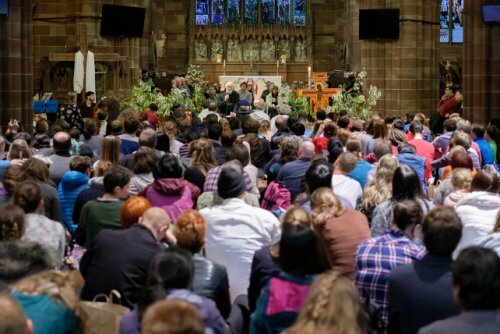 As we come to the end of our gathering, let us remember that by his resurrection Christ calls us to become more fully human, rather than to be people of many words. On that path we discover an unrivalled source of joy. So then, may the joy of the risen Christ come to fill our hearts!